In a place known better for its cigarettes, PD Taru Martani is the country’s oldest and the largest cigar maker. Built in 1918 under the name N.V. Negresco by a Dutch company Mignot & De Block Cigar Company. 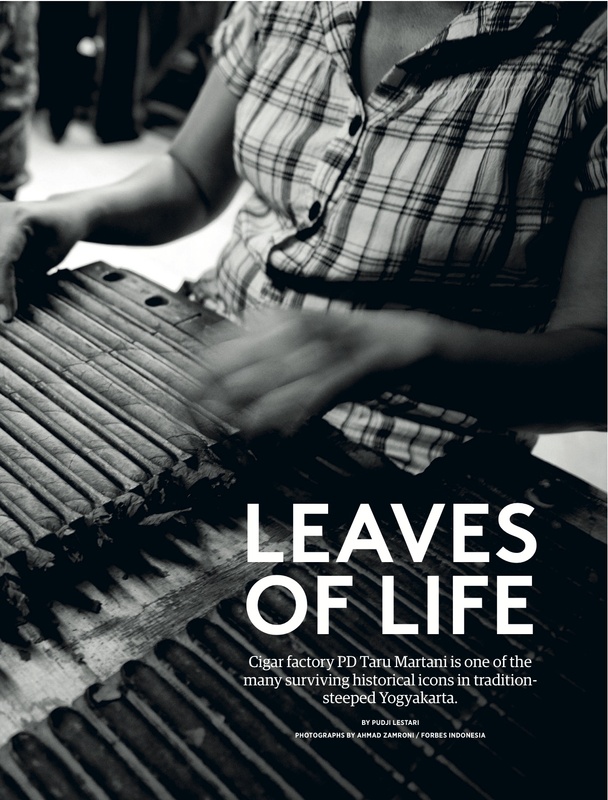 After World War II, the factory was taken over by the late Sri Sultan Hamengkubuwono IX and renamed Taru Martani, a Javanese term for the leaves of life. The company is now owned and managed by the local government. The building’s structure remains largely unchanged in its 94-year-history and today nearly all the production is still done by hand and not machine. In keeping with its name, Taru Martani gives life to 250 staff, 80% of them women (who are considered better cigar makers than men). 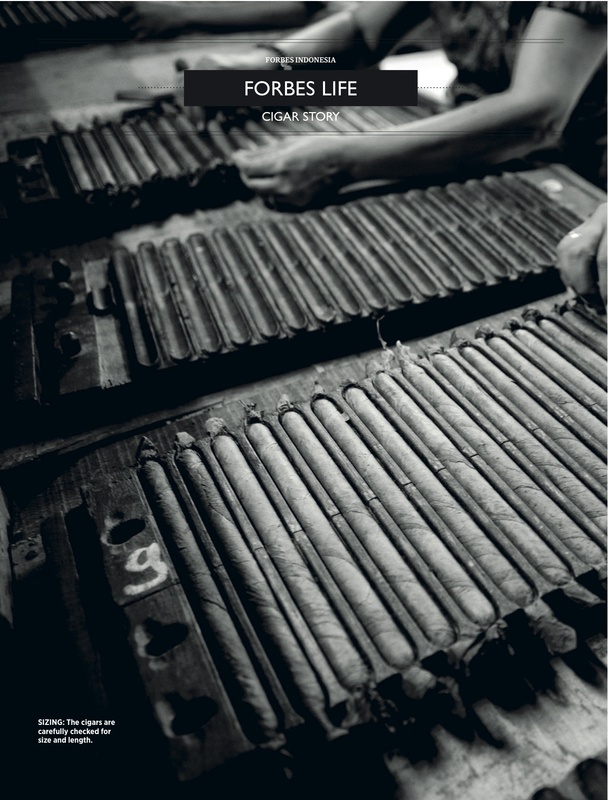 The factory produces around seven million cigars a year using mostly local tobacco, of which 90% is exported to U.S. and European countries. 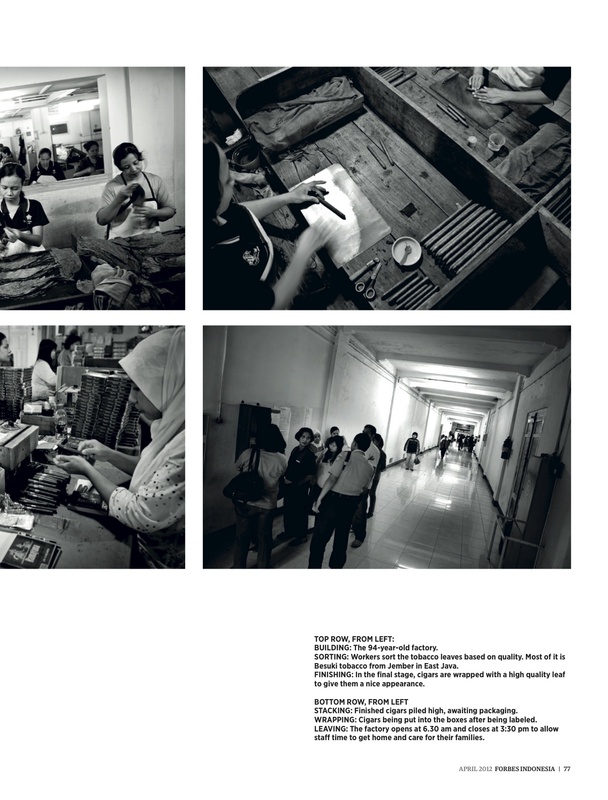 * This story appears in the April 2012 issue of Forbes Indonesia magazine. 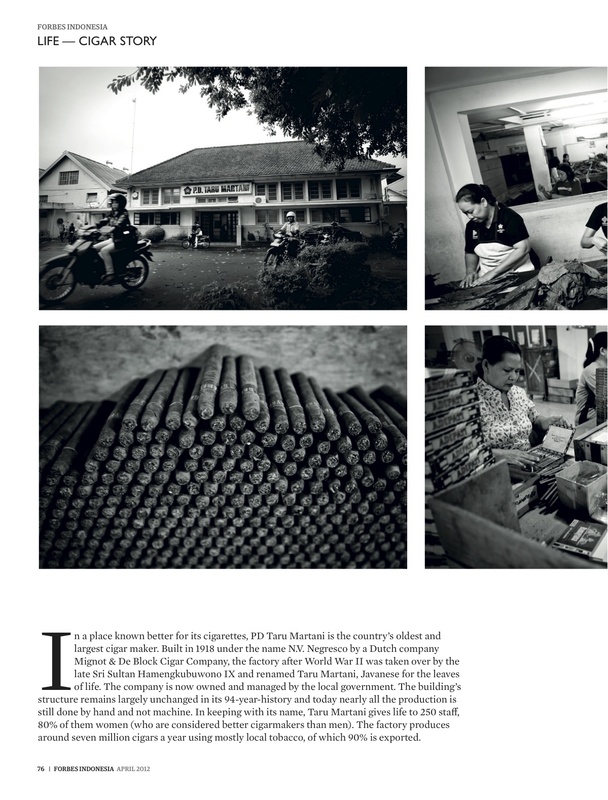 This entry was posted in Places, Publications and tagged cigar factory, Mignot & De Block Cigar Company, N.V. Negresco, oldest cigar maker, PD Taru Martani, Tarumartani, tobacco, Yogyakarta by Pudji Lestari. Bookmark the permalink.